You Must Hear This: Andrew W.K. On Bach Everyone's favorite headbanger, whose songs include "Party Hard" and "Party 'Til You Puke," thinks the music of Johann Sebastian Bach stands among humankind's greatest accomplishments. For Andrew W.K., you can't get any better than Bach. 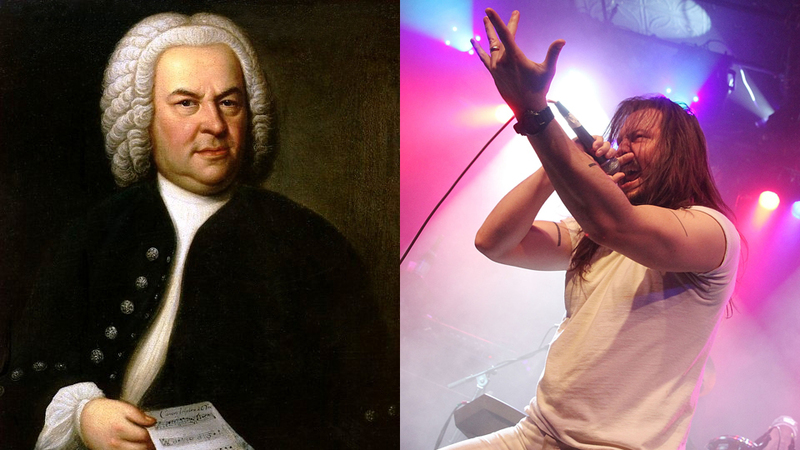 Headbanging rocker Andrew W.K., whose songs include "Party Hard," "It's Time to Party" and "Party 'Til You Puke," thinks the music of Johann Sebastian Bach stands among humankind's greatest accomplishments. I've played piano since I was 4 years old, and I've always loved songs by J.S. Bach. Calling Bach's Brandenburg Concerto No. 5 a song may be inaccurate. Though it is music, it doesn't have the trappings of a song. I think a "song" is a piece of music with lyrics, with singing, or at least an established lead melody and lyrical approach. What I learned about music is that it can have nothing to do with words, instrumentation, image, message or meaning. The meaning is the melody, the notes, the rhythm — music for the sake of its own beauty, with nothing more required to express itself. I think J.S. Bach's music stands among humankind's greatest accomplishments. For me, Bach's music is not only as good as music gets, but also as good as it gets, period — as good as existence, reality, life and the world. The Brandenburg Concerto No. 5, specifically the first movement, Allegro, has all the joy, beauty and exhilarating quality of human life at its best. The energy and exuberance in the melody and the attitude of the rhythm are as powerful to me as any rock 'n' roll song, as energizing as any techno dance music, as driving and thrilling as any punk or heavy metal. There's even a harpsichord solo which has all the thrills, theatrics and drama of a massive electric-guitar shred-fest. I like to imagine that the feelings Bach was trying to manifest were the equivalent feelings to what a hard-rock band is trying to create: pure joy, a total rush of energy, without ideas, concepts or even specific emotions to stand in the way of the total sonic experience. It's everything and nothing and a mystery and a revelation all at once. Even though there are so many different "kinds" of music — different textures, different timbres, different attitudes — there is something divine at the core of all music. Listening to this piece by Bach reminds me that all music is valid. Even with all the brilliant scientific advancements in the study of music, we may never fully understand what music is, or why exactly it makes us feel as it does — yet we can still feel its power work on us and enjoy that sensation. The 5th Brandenburg Concerto works on me and reminds me that what really matters in music is the sensation of hearing it — feeling it — and it inspires me to continue to strive to create the strongest sensations I can using the methods and tools I have access to. I hope listening to this piece gives you a strong sensation about being alive, and that you take those feelings and do something wonderful. You Must Hear This is produced and edited by Ellen Silva and Frannie Kelley. Sonari Glinton produced and mixed this piece for All Things Considered.